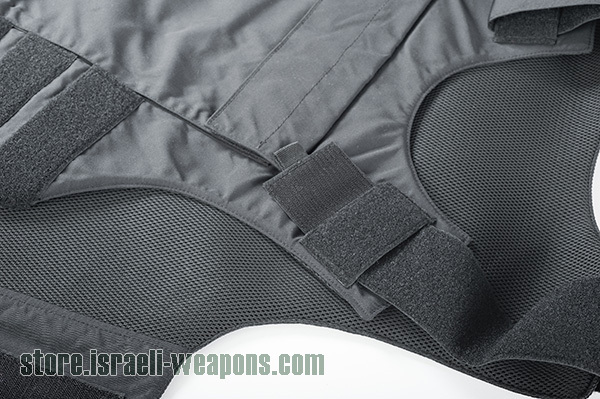 Ballistic vests are specifically designed to protect people who wear them against bullets. Therefore military soldiers, police enforcers and even ordinary people wear them. However, these vests come along with different levels of ballistic protection. In addition, they have been divided into different categories as well. People who wear these ballistic vests have different demands and preferences. For example, law enforcement officials need a higher level of protection than others. People who work as secret agents must wear concealable body armor to ensure their safety. What Exactly is Concealable Body Armor? It can simply be defined as a ballistic vest that will not be noticed by other people around you. These vests usually thinner than traditional ballistic vests and people will not have to face any hassle while wearing them for a long period of time. People who are looking for Level 3 (III) and Level 4 (IV) protection will need external bullet proof vest with hard armor plates. However, these plates will make the vest bulkier and heavier. Therefore, concealable bulletproof vest are recommended for people who don’t need protection against rifle fire. The word concealable means that these vests are meant to be worn beneath your clothing, this way they will not be seen. Nobody will be able to tell whether you wear a concealed body armor or not. Therefore, these concealable bulletproof vests are extremely popular among people who are engaged with secret missions and have the need to remain unnoticeable in public. These body armors have the ability to resist handguns, 357 magnum, .22 calibers and even .44 when in IIIA (3A) type protection. Alternatives to Concealed Body Armor? If you are looking for protection and concealment, you will not be able to find any good alternatives for concealed bulletproof vest. There are standard body armor that offers better protection to the wearers from higher powered firearms. However, they don’t have the ability to remain unnoticed in public. People who are looking for protection against the most common threats can think of spending their money on concealable body armor. The main objective of all the people who are looking for undercover bullet proof vest is to purchase the product that offers highest level of protection along with mobility. They are also concerned about the comfort factor as well. Sometimes, you will need to wear this vest throughout the entire day. If you are such a person, you need to pay special attention towards the comfort. Otherwise, you will not prefer to wear it and you will be risking your life. Undercover body armor can cater the needs of all those people and spending your money on it will be an excellent investment done towards the future as well.